Since the buyout of majority shares in Chelsea by Russian Oligarch Roman Abramovich in 2003, the London based club have seen a massive upturn in their fortunes, growing from a mid-table side into a genuine Premier League heavyweight. In the succeeding 16 years, Chelsea have been the most successful English club, winning virtually every trophy winnable, including five Premier League titles, six FA Cups, the Champions League, as well as the Europa League amongst others. Upon taking over the club, Abramovich embarked on an aggressive spending spree that saw him bring the best players in the world to the club - twice breaking the Premier League record transfer fees to sign Fernando Torres and Andriy Shevchenko in addition to other marquee signings. This practice still holds till this day and The Blues can count on the services of some of the finest players anywhere on the planet. However, it is not just their billionaire owner's funding that keeps them going, as the club has achieved some sort of financial independence devoid of Abramovich, and are constantly among the highest earning clubs in terms of revenue, as their successes on the field of play has translated into offield success. The Blues signed a lucrative shirt sponsorship deal with giant Japanese tire manufacturers Yokohama, while their kit manufacturing deal with Nike worth £900m over six years is also significantly impressive. It goes without saying that the caliber of players at Chelsea means that the club has a huge wage bill, as generally as a rule of thumb, big players tend to attract huge salaries. With a wage budget of £225 million, Chelsea stands top of the highest spending clubs in terms of player's wages, but some might say that this is not money well spent, judging by their struggles so far this season. In this piece, we shall be having a rundown of the five highest earners at Chelsea currently. Note - Alvaro Morata's 2017 contract with Chelsea sees him earn £200,000 / week, making him the joint-third highest earner at the club, however, he has been left off the list due to his loan move to Atletico Madrid. 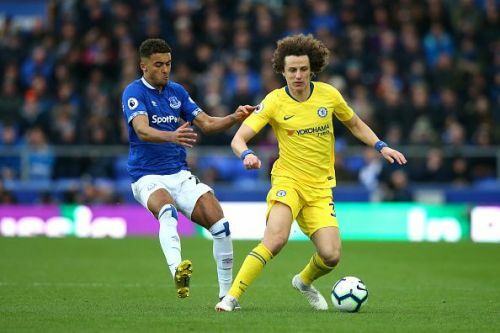 David Luiz was signed by Chelsea from Benfica in January 2011 for €25 m and after three-and-half years of winning the hearts of the Stamford Bridge faithful, he transferred to PSG in the summer of 2014 for £50m to become the most expensive defender of all time. The Brazilian international returned to the Bridge in 2016, signing a three-year-deal which sees him net £120,000 / week. 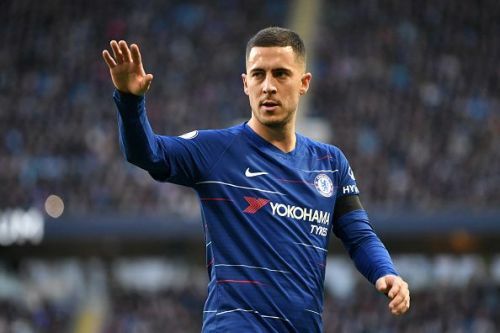 His contract is set to expire this season, but the player himself and members of the Chelsea board are currently locked in negotiations over an extension. For his part, Olivier Giroud arrived Chelsea in January 2018 to serve as cover-up for the misfiring Alvaro Morata. The Frenchman has however done little to justify the massive £120,000 he receives in wages weekly. However, his case is much more justifiable than that of Danny Drinkwater whose impact has been so negligible (he is yet to kick a competitive ball in anger for Chelsea all season long) is bound to go down as one of the very worst transfers in the history of Chelsea.